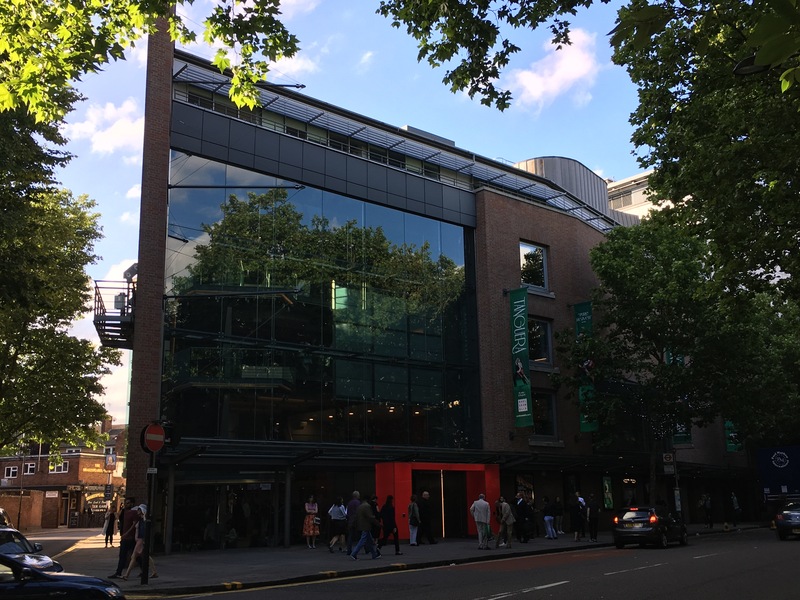 To make up for the disastrously uninteresting Friday night, I got tickets on Saturday to see a performance by the Scottish Ballet at Sadler’s Wells, which is apparently London’s leading venues for dance. The program was very exciting. It offered pieces by two choreographers whose pieces I’ve seen before and really enjoyed: First a piece by Angelin Preljocaj that was described as “a hymn to the male body”, followed by Crystal Pite’s Emergence, which looks at similarities between the swarm intelligence of bees and ants and ballet companies. I liked very little of the Preljocaj piece. Sure, there were plenty of beautiful male bodies — twelve, to be exact (turns out the piece was meant to be a sort of “Last Supper”, with each dancer being an apostle). But I don’t know where the reviewer got “hymn”. To me it felt more like a mashup between a fight club and a morgue. Emergence on the other hand was just as terrific as the first time I’d seen it. Seeing it now for the second time, I was able to pick out pieces I hadn’t seen before. 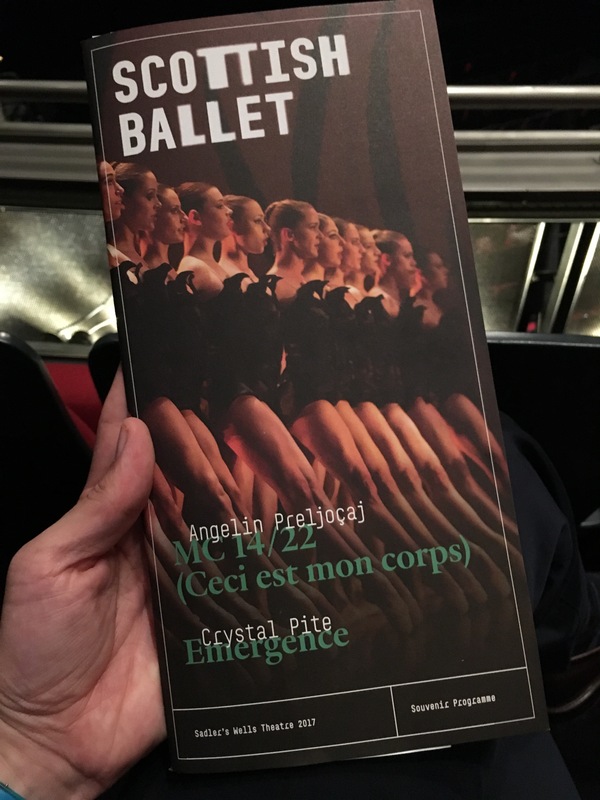 The bee-like swarms of en pointe ballet dancers still gave me goosebumps.